Pat grew up in St. Louis, Missouri where he spent the months he wasn’t playing ice hockey riding his mountain bike. He was introduced to cross country racing and joined the St. Louis-based cycling team, Dogfish Racing when he was 15. At this time, Pat also got a job as an aspiring bike mechanic, and to this day, still wears his “mechanic hat” after 13 years in bike shops all over the Midwest, Southeast, and Mountain West. Today, Pat provides mechanic services and education at the Peak State “Fox Den” in Salt Lake City. During his undergraduate at Truman State University, Pat’s focus was health science, global health and biology. He pursued work in the summer months that allowed him to further his experience and understanding of the human body. 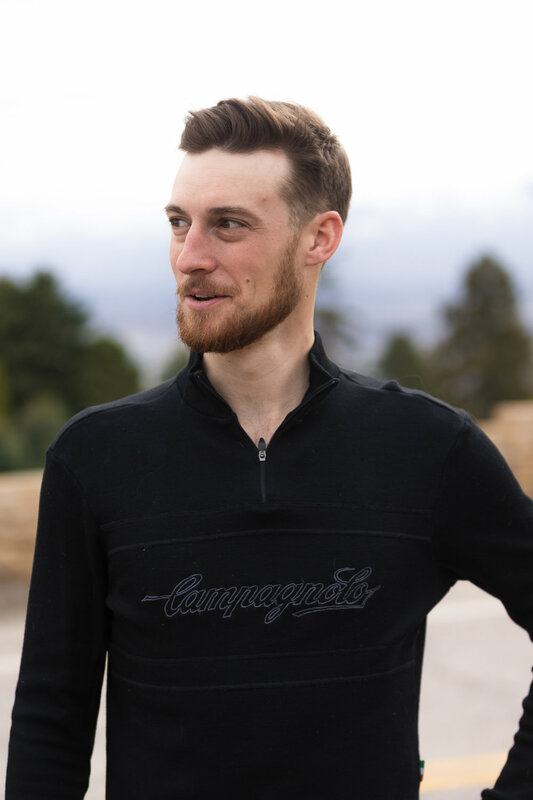 For 3 summers, Pat worked alongside Andy Coggan (co-author of Racing and Training with a Power Meter) at Mallinckrodt Institute of Radiology at Washington University School of Medicine. Immersed in cycling as his means to escape and unplug, Pat found his love for cycling, physiology, and science all in one place. Upon graduation, Pat pursued an internship in Alabama and continued to ride his road bike for both transportation and recreation. During summer of 2012, Pat rode his bike from San Francisco, CA to Boston, MA in support of Partners in Health, a Global Health organization that had largely inspired his move to Alabama after graduation. 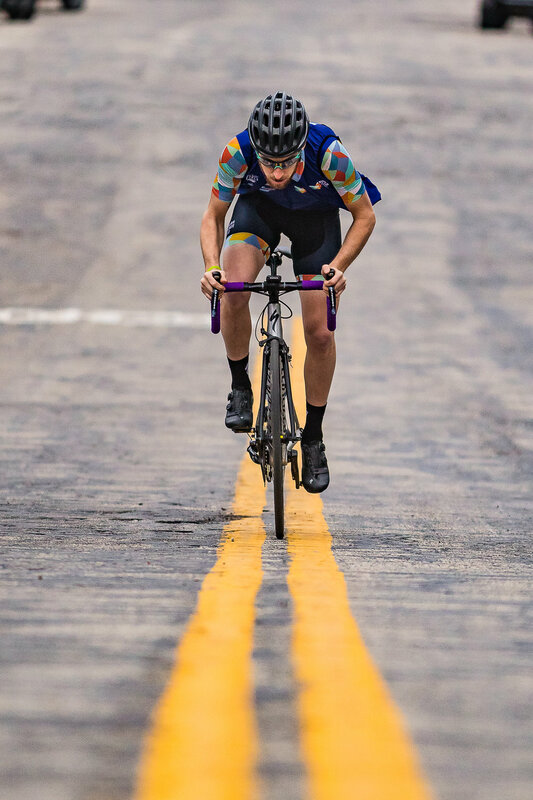 Getting back to racing in Alabama, Pat found himself on the podium and moved up in Category quickly with help from his coach at the time, Heather. Instead of continuing on his path towards graduate school, Pat wanted to see where his dream of professional bike racing would take him. In 2014, Pat and Heather loaded up and moved their lives to Park City, Utah and Pat joined the Canyon Bicycles-Shimano Domestic Elite Cycling Team. He spent the following spring and summer months (2015 and 2016) traveling the US on the domestic PRT (Professional Road Tour) Circuit, followed by a year with the New Orleans-based team, Palmer Cycling who would help get him to a myriad of PRT events in the role of Rider and Director for the small squad. In this role, Pat found himself more useful as a team leader and coach than as a rider. In 2018, racing has become an outlet for competition, but Pat’s passion for coaching and devotion to his athletes has outdistanced his desire to spend as much time on the road. He still races as a Cat 1 in Utah, and you can find him at Tuesday Night Worlds races at RMR, and the occasional weekend criterium. In 2013, Pat sought out a USA Cycling coaching certification and began coaching cyclists to combine his love for the sport with his devotion to helping people. By applying the methods he learned as an athlete, Pat strives every day to help others recognize their potential and achieve their goals. In 2015, he obtained his USAT Level 1 Certification, followed by a CSCS (Certified Strength and Conditioning Specialist) in 2016. In November 2017, Pat was accepted to receive his USAT Level 2 Certification at the Olympic Training Center in Colorado Springs. Shortly thereafter, Pat applied for the position of Head Coach with USAT for Team USA, and was selected to coach the Duathlon and Cross Triathlon Age Group teams in Fyn, Denmark at the World Championship Festival. 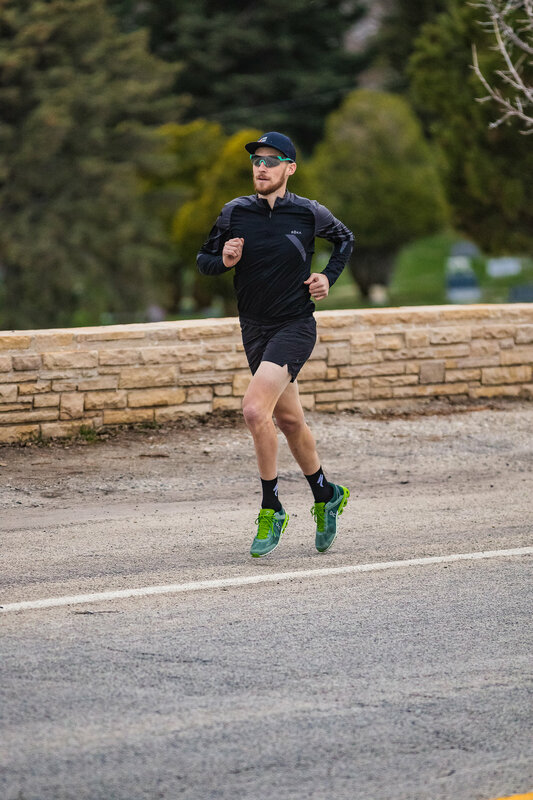 Pat’s passion for working with athletes is not limited to endurance coaching, and his knowledge of strength and conditioning, bike fit, and racing experience makes him a unique and versatile coach for any level of athlete. The growth of Peak State Fit will serve as a physical location and platform for athletes of all backgrounds to find new potential. Set up a consultation or feel free to reach out to Pat and find how you can #FindPeakState in your life!